Our new dog grooming salon is bigger and better! Spoil your furbaby with top-of-the-line baths & hair cuts! 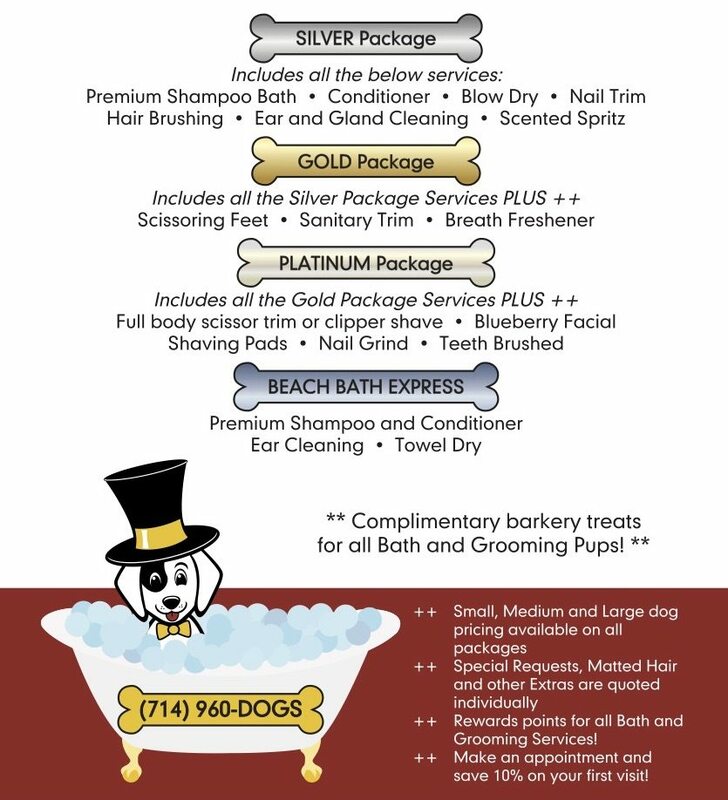 Several dog grooming packages to choose from include all the spa perks with nail cuts, ear cleaning, professional and specialized shampoos and conditioners for every skin type. We’ll turn your pup into a TOP DOG and spoil them with our famous dog bakery pastries while they are here! 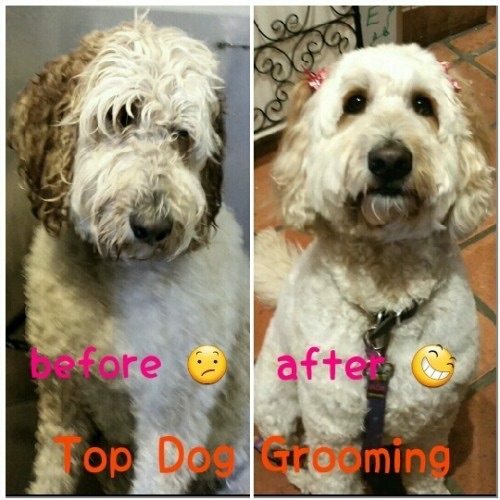 Our dog grooming team can transform your pup into a TOP DOG with our bath and hair cut specials! Give us a call to set your appointment time for the spa, most dogs will be done in about 2 hours and they will get spoiled on our dog bakery treats while they are here! 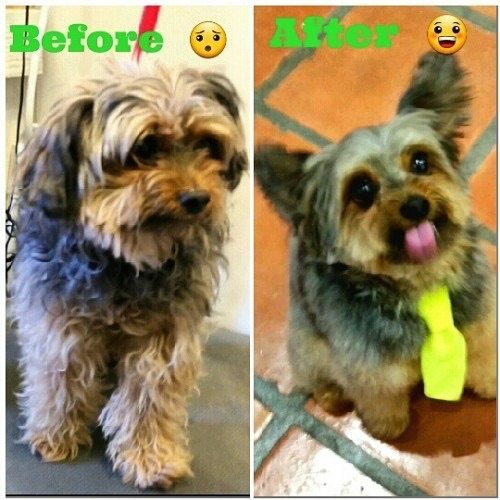 Learn more about our grooming services on our FAQs page! 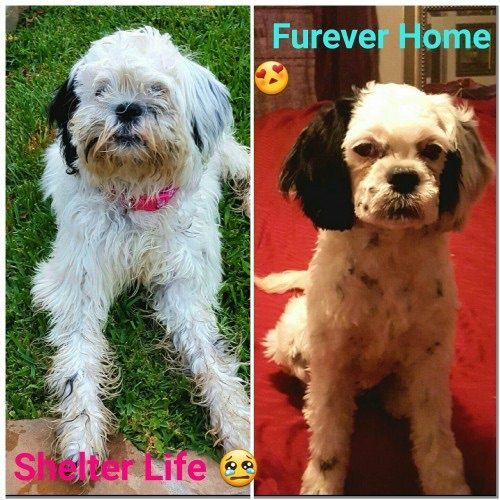 We are a big supporter of rescue groups and shelters – look what a difference our dog grooming can make in a pup’s life to getting a new furever home! This poor baby was severely matted and tangled, and she became a foster dog here at Top Dog. First thing was to get her a proper bath and hair cut – then magically her sweet puppy personality came through and she was adopted! Please support the efforts of your local fosters and rescue groups to help these babies into better, loving homes than what they came from.